Nawara, a woman in her 20s, works as a housemaid in the home of Ossama Bey and his family, who are closely linked to the Mubarak regime. As the revolution unfolds, they decide to leave the country temporarily. They give Nawara some money and ask her to look after the house while they are away. 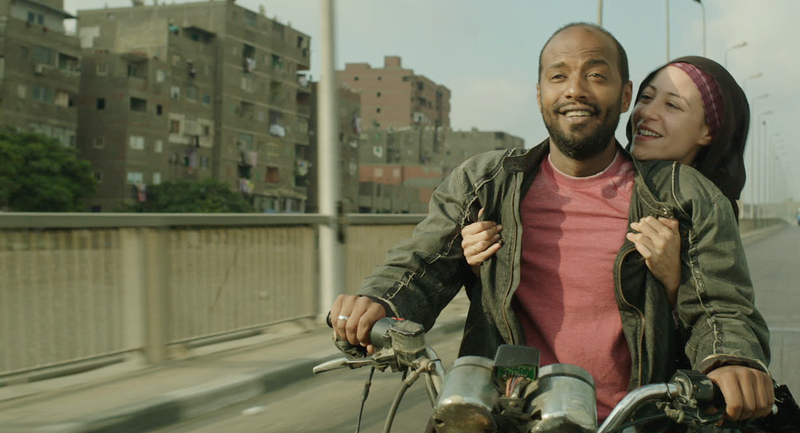 Nawara calls her fiancé Mustafa and tells him to find a house, now that she can afford it. She takes to living in her employers’ villas as though she were the owner. At Mustafa’s insistence, Nawara lets him spend the night with her at the villa, and the pair discover what it’s like to live like the rich. Because of a travel ban and property seizure order that has been issued against Ossama Bey, however, the police arrive at the villa and take Nawara’s money because she can’t prove it belongs to her. She and Mustafa are left with nothing. Pontio Arts Centre: 28th October from 2015 Book Tickets! Aberystwyth Arts Centre: 1st November from 2015 Book Tickets! Chapter Arts Centre: 12th November 1400 Book Tickets!